Available for 18 & 24 iPad tablets. 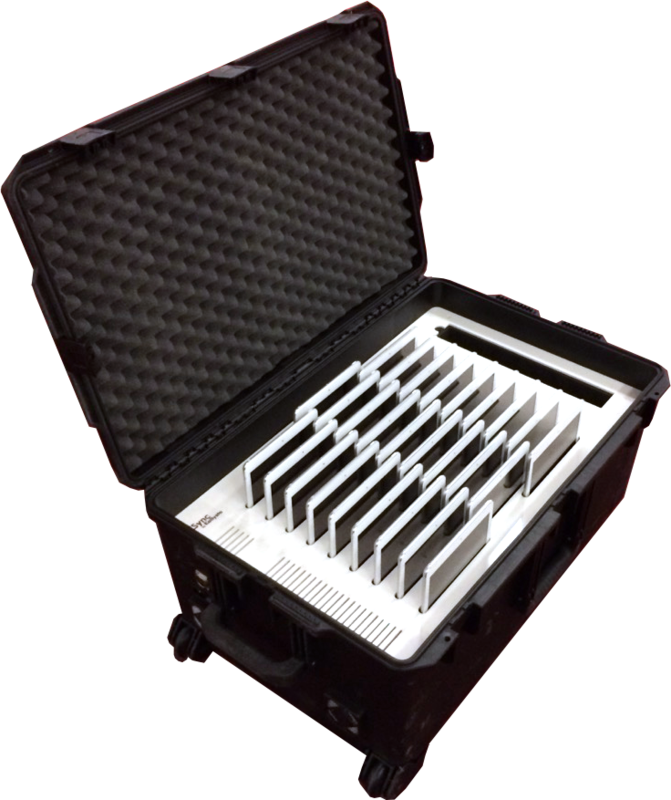 This large mobile case Magelan is an all terrain solution ready to transport, store and quickly deploy many iPad and a computer. Equipped with the KSync technology and powerful fans, this mobile case allows thank to a docking system, to load and sync closed lid all the connected tablets. An effective solution to manage a real iPad fleet !